2018 ESTC Panel Discussion #1 with Anupam Tewari, Jeane Manning, Dr. Gerald Pollack, Aaron Murakami, Prof. Robert Haralick, Karen Elkins, Paul Babcock. 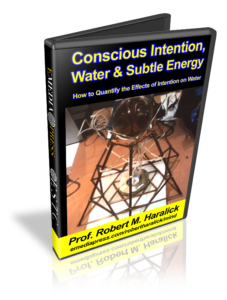 Dr. Pollack is a world-renown scientist and professor at the University of Washington who has investigated water for many years. Much of this study is in relation to cellular water and its role in biological processes. Water is deceptively simple yet complex at the same time and most of what is thought to be understood about it is usually wrong. 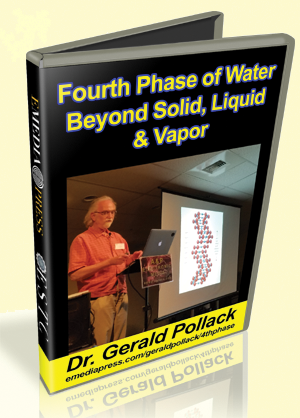 Once you see this presentation, Fourth Phase of Water – Beyond Solid, Liquid and Vapor, named after Dr. Pollack’s book of the same title, you will agree. The discoveries presented shine light on a new way to create a battery that has only water and no electrolytes or dissimilar metals, water apparently moving in perpetual motion unidirectionally through tubes, a solid form of water at room temperature and other mind-blowing facts. How there is a 4th phase that is different from solid, liquid or vapor. How water can be separated into two types in one container that can be used as a battery – has already been proven to be able to light an LED – there is no electrolyte in the water or dissimilar metals, it is 100% water in two different forms. A glimpse at SOLID water at ROOM TEMPERATURE – that’s right, easy to come to an understanding that almost anything anyone thinks they know about water is probably wrong. How water can desalinate itself as well as separating out other particles. A discovery showing how water actually flows through capillaries and assists the blood pumping action since the heart is not capable of pumping all of the blood as is commonly thought. Free water pumping action through a tube at an infinite COP (coefficient of performance) since we provide zero input and any other input comes from external sources.